***IMPORTANT NOTE: You can only change your preferred name once. Then it must be reset by a Moodle Administrator. 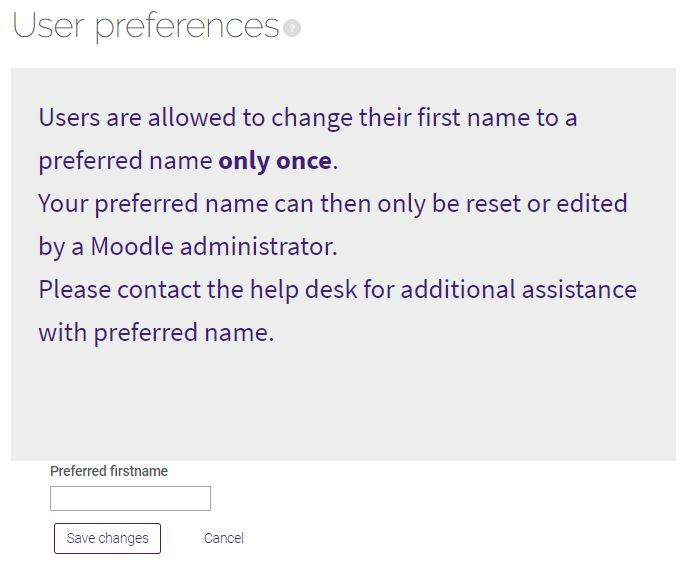 Moodle users have the option to change their preferred first name. Students: Your preferred name will appear to your classmmates and instructors. However, instructors will still see your legal name in certain areas of the course (e.g., the gradebook). Faculty: If your preferred name is changed after your course(s) is already created, please contact the the Faculty Technology Center (ftc@lsu.edu) for assistance with changing your name in the title of your course. 2. 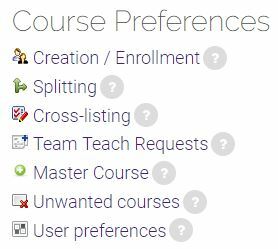 Click on the User preferences link within the Course Preferences block at he bottom of the Moodle Home page. 3. Enter your Preferred firstname in the filed provided and click the Save changes button.